Pop Down Café is a waste-awareness collective situated in the heart of St Andrews. The Cafe has been running since March 2016, offering a creative and positive environment in which to serve and receive donated or unwanted food and clothing items. In addition to this activity, they operate on a pay-as-you-feel basis raising funds for refugee camps in Europe. Already they run café sessions bi-weekly but have high hopes and ambitions to expand further and engage with a wider St Andrews/Fife community. If you love food and hate waste then have a gander at our facebook page to see what’s on offer: click here. Or if you are interested in helping out contact either Sam Woolhead at (sfw2@st-andrews.ac.uk). This project is currently laying low with its founders having graduated in the summer of 2018. Having said that, its revival is always on the cards. Get in touch if you’d like to be a part of this. VegSoc hopes to celebrate the joys and discuss the ethics behind vegetarianism and veganism with anyone who is interested. We aim to be inclusive and egalitarian and hope that you will find yourself in a warm and friendly atmosphere at any of our activities. VegSoc is open to all: veggie or non veggie 🙂 Join us every Sunday for one of our dinners to enjoy amazing vegan food in even better company! 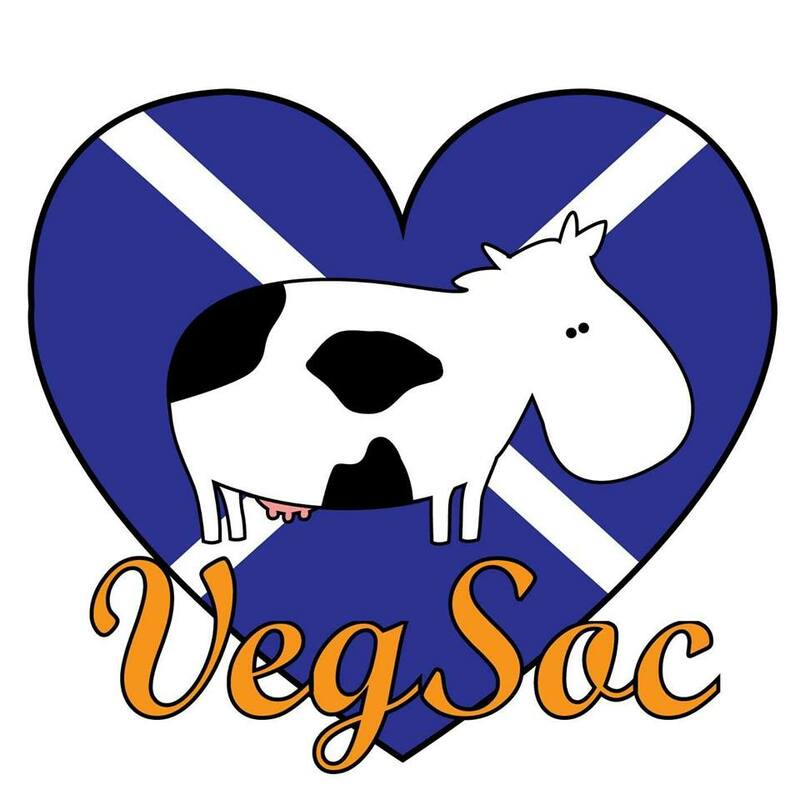 For more information please see their Facebook page, group and/or email VegSoc at vegsoc@st-andrews.ac.uk or Jordy de Vries (president) at jdv2@st-andrews.ac.uk. Hello, we are WildSoc! 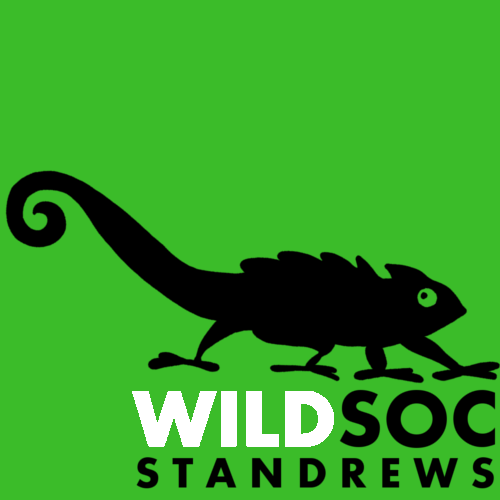 No, we are not a society whose sole purpose is to rave and party like crazy… No, WildSoc actually stands for the Wildlife and Conservation Society – although we do sometimes joke we should be the David Attenborough Appreciation Society. We are a group of like-minded students who are passionate about protecting endangered species, love watching Planet Earth and want to raise the profile of wildlife conservation in St Andrews. Our committee is made up of 8 student members from a variety of backgrounds and years including myself as President, Vice-President Jackie, Treasurer Ellie, Secretary Molly, Events Officer Gal, Publicity Officer Grania, Fundraising and Campaigns Officer Caroline and Honorary member Rowan. Now our major event that we love to plug is our David Attenborough Documentary Nights. Think Netflix and chill but with David Attenborough’s dulcet, smooth tones guiding you through breath-taking places to see incredible wildlife. Again, maybe we should change our name to I<3AttenboroughSoc… Anyway, we put on Planet Earth, Africa, Blue Planet – you know, anything with Sir David in basically. These events are usually very popular and we’ll be running these every so often throughout the year – keep your eyes peeled! In addition to these Doc Nights, we also like to get a few guest speakers in every year to talk about wildlife conservation issues. Examples of topics have been the extraordinary migrations of songbirds to Africa and efforts to save the Sungazer Lizard. We’re also hoping to celebrate Earth Hour by getting the Union to turn all its lights off for a whole hour whilst we do a ceilidh in the dark – don’t worry we’ll be lighting you up like glow-worms so nothing can go wrong, besides it’s a ceilidh…stumbling around is all part of the event! We’re also raising money for the Scottish Wildlife Trust and we’ll be doing that through your membership and bake sales. We’re also not tied to St Andrews as we’ll be running our awesome Isle of May trip next May to see puffins, guillemots, razorbills, gannets, seals and much much more. This is a must-do trip whilst you’re in St Andrews! We’ll hopefully be putting together some more trips too in the meantime to places such as the Isle of Mull, Cairngorms and Bass Rock. We’d love for you to come along to one of our events and join WildSoc. We only cost £3 a year and for that you get money off our trips, merchandise like hoodies, discounts on certain events and you contribute to supporting our conservation charity of the year. If you’d like to meet like-minded people who care about wildlife, the natural world and conservation issues then come along to our events – email wildlifesoc@st-andrews.ac.uk to sign up to our mailing list or find our Facebook page. If you’re super keen to join the committee – let us know too, we’d especially love to have a First Year Rep! The St Andrews Sustainable Development aims to provide an open place for the discussion of sustainable development. We welcome students from all departments within the University of St Andrews to come together to discuss ways to work together to promote a more sustainable future. Involved in sustainability in St Andrews? Would you like us to publicise for you? Just send us an email and we’ll put you on our page!